Dining out has become a staple for much of the nation, a hobby and pastime for those who enjoy food and drink – whether that’s wine, beer or spirits. And it should be a wonderful, fun experience. I certainly enjoy good food, and what else to pair it with than a glass of something delicious? That’s exactly where the sommelier comes into play. “Sommelier” sounds like a fancy word, for a fancy place, in a fancy part of town, maybe even scary; but a sommelier is just a wine waiter – and they’re there to help. Sommeliers: the wine buffs of the restaurant world should be your go-to for knowledge and inspiration. They’re there to provide that little nudge towards trying something new, rather that sticking with something familiar and “safe”. The trouble is that some sommeliers can seem intimidating. You’re sitting staring up at this fantastically spoken Frenchman spout on about wines that will go with the food you’re about to order in his charming-but-completely-misunderstandable garble, feeling increasingly uncomfortable with the recommended bottles already way above your price point. It leaves even me itching to order the second cheapest, again. But, as we see the demise of the white-tablecloth and the rise of “casual dining”, sommeliers aren’t necessarily bow-tied and flawlessly French – they are becoming, dare I say it, approachable. As indeed they should: I’d like all sommeliers to make me feel comfortable enough to ask lots of questions – enhancing my experience by tipping me off to a hidden gem on the wine list, a new discovery or a forgotten classic. And, for the most part, that is just what they are desperate to do. They are there to share their immense knowledge with us, the customers, in an interesting and clear way – helping us choose a bottle that we’ll ultimately enjoy. So speak to the sommelier – they are rarely as intimidating as you might think. Tell them what you want – from price to style and colour – and let them take it from there. 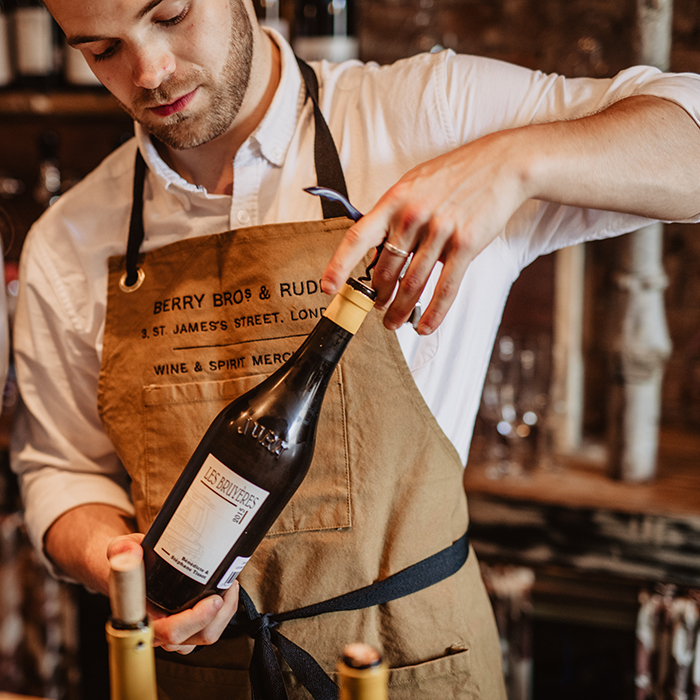 All you need to do is ask, they will almost certainly be able to find you a bottle you’ll love – after all, it’s their job! What a delightful little read! A “sommelier is just a wine waiter”: yes, a sommelier is a wine waiter; but no, a sommelier is not *just* a wine waiter. A sommelier is a walking talking drinking encyclopaedic bundle of magnificent knowledge.